When the furnace known as "summer" begins to ignite, it's tempting to raid the snack shelves at Trader Joe's and commence binge-watching Unbreakable Kimmie Schmidt, Orange Is the New Black and True Detective. With your swamp cooler roaring full blast, mini-pizzas crisping in the oven and that bottle of Epic Spiral Jetty beading with condensation beside the remote, the fluffy couch is just waiting for your pale, soft bottom to crash down upon it. It's all too easy to while away the summer indoors, isn't it? But is it really fun? Pleasant, maybe—but it's somehow lacking in the heroic and hair-raising misadventures of your youth. Sometimes it's necessary to lasso the mindset of childhood, when we basically invented fun. Fun was what happened when we woke up on a summer day and didn't have to mow the lawn, paint the deck, empty the dishwasher or let the dog out. And oftentimes, fun came most easily when we ecaped the confines of home. If it's a challenge for you to "remember when," perhaps this issue will jog a memory or two. Let this be the year you check out the newest gut-wrenching ride at a theme park or find yourself idling by (or in) a lazy river. Afterward, snap out your beach towel and recline on an actual sandy beach (yes, there are some in Utah) while listening to your "Summer 2015" mixtape (remember mixtapes? Fun!). Then, experience that elation that comes from finding a shop or eatery serving a dish you enjoyed as a kid, when you discover it tastes just as great now as it did then. 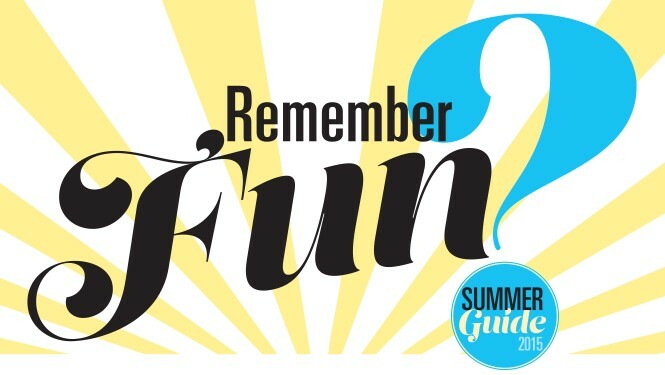 If you can't bring the fun on your own, let someone else make you laugh out loud at a summer play or musical. Or, embrace your inner nomad and explore a park or attraction that few people have heard of before. 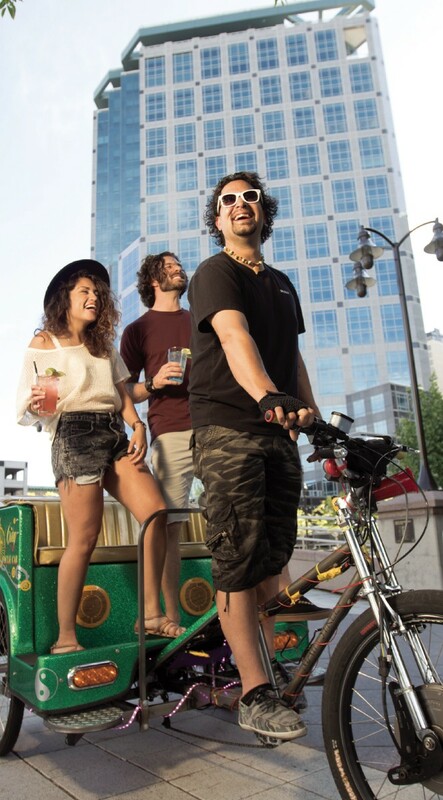 It's never too late to have fun on a bike; try pedaling your way to high spirits on a pub crawl. Or, prove your hole-in-one prowess with a game of disc golf or putt-putt. If shopping punches your fun button, check out our list of off-the-wall hangouts and swap meets. Finally, our rosters of festivals and concerts will give you a summer's worth of events where your wild-child self can come out to play. If all else fails, you can always sit home and do nothing—but only on the Fourth of July! In the 1960s, young people were urged to "turn on." In summer 2015, we invite you to "turn off." Abandon your flat-screens, your tablets, your smartphones and controllers—whatever devices hold you captive indoors and on the couch—until you've availed yourself at least one excellent adventure described on the following pages.